Healthy Whole Wheat Hamantashen - No Way That's Healthy! The Jewish holiday of Purim is next week. 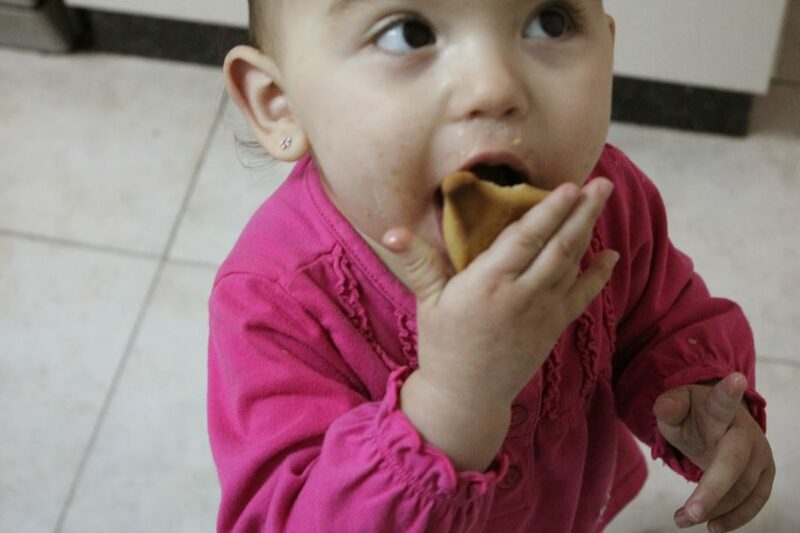 One of the customary things to eat on Purim is hamantashen. I have been trying out several different hamantashen recipes for some time now. Each recipe was not good enough to share with you. Then after a bunch of fails I remembered that I have a recipe on my blog for No Sugar, Sugar Cookies. 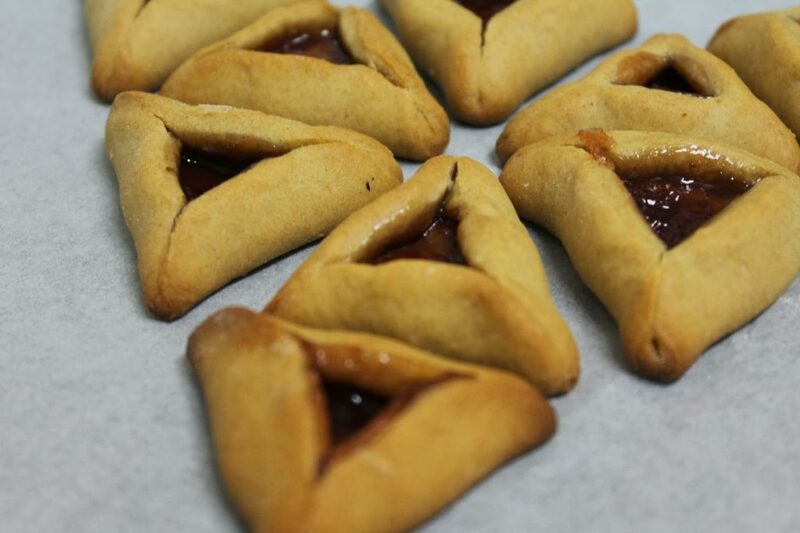 That dough may be perfect for hamantashen! 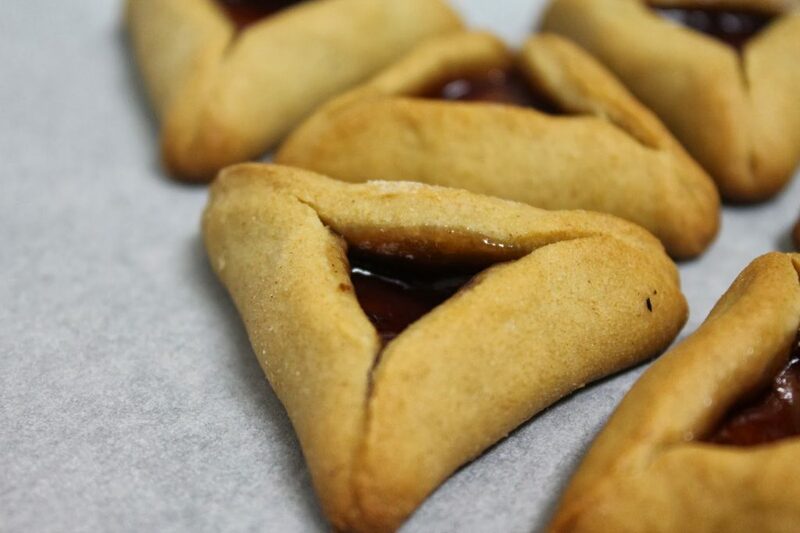 I quickly got to work and after adjusting the recipe a bit, I came up with a delicious tasting hamantashen recipe that I am sure you will enjoy. Many recipes say to chill the dough in the fridge, but this recipe does not need it. 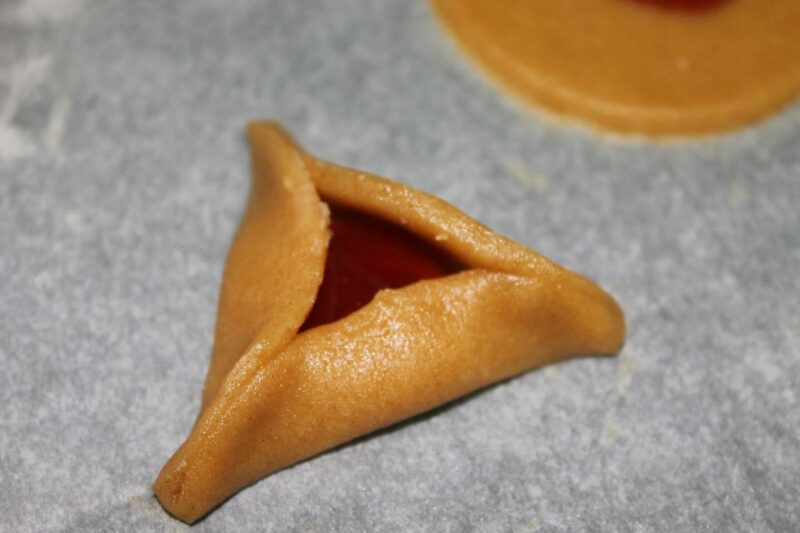 There are two things most people have a problem with when making hamantashen. This dough will not open, but to be sure of that you need to pinch the corners together really well. 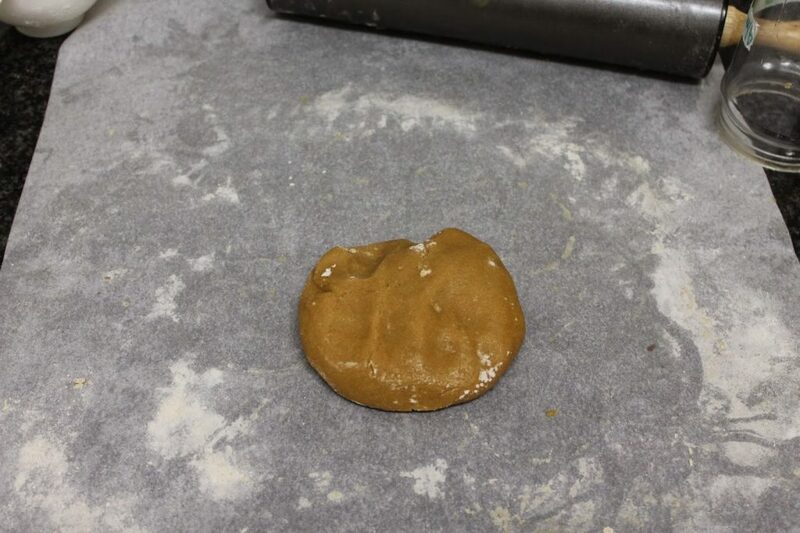 A great way from keeping the filling from leaking out is to push your thumb into the middle of the dough where you will be placing the filling. This imprint gives the filling a little pocket to “sit“ in and helps prevent it from bubbling over while cooking. So lets get to the recipe shall we? If you try any of my recipes please be sure to tag me @nowaythatshealthy and/or comment below! I’d love to hear from you! Filling of your choice-I used natural strawberry jam, but any filling will be great in these. Place a sheet of baking paper onto your tray and spray with some oil. Mix together the oil, honey, egg and extract. After it is combined add in 1.5 cups of flour, baking powder and salt. Mix and keep adding flour to get a dough that will no longer stick to your hands much, but it can be a bit sticky still. Let the dough sit for a few minutes while you prep your working space to roll it out. Roll out the dough so it is thin, but not too thin. About an ⅛ of an inch thick. Cut out rounds using the lip of a round glass or an empty nut butter container like I did. Keep doing that till all the dough is used up. 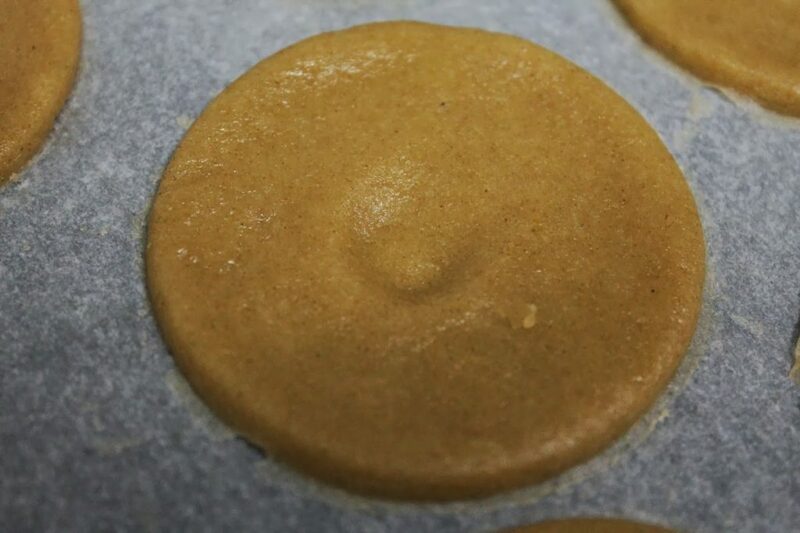 Make an imprint into the middle of each round with your thumb and place ½-1 tsp of your filling of choice there. Pinch together the sides to create the triangular shape. Pinch it well! Carefully lift and place onto your greased baking sheet. Bake for around 10 minutes till it gets a bit golden. Watch it so they do not overcook. You may need 5 more minutes depending on your oven. Let them cool before tasting. They will harden more as they cool. I like to use a baking paper to roll out my dough on so it is easier clean up. The dough should not stick much to the paper or rolling pin, but if it does you can sprinkle on a little flour. 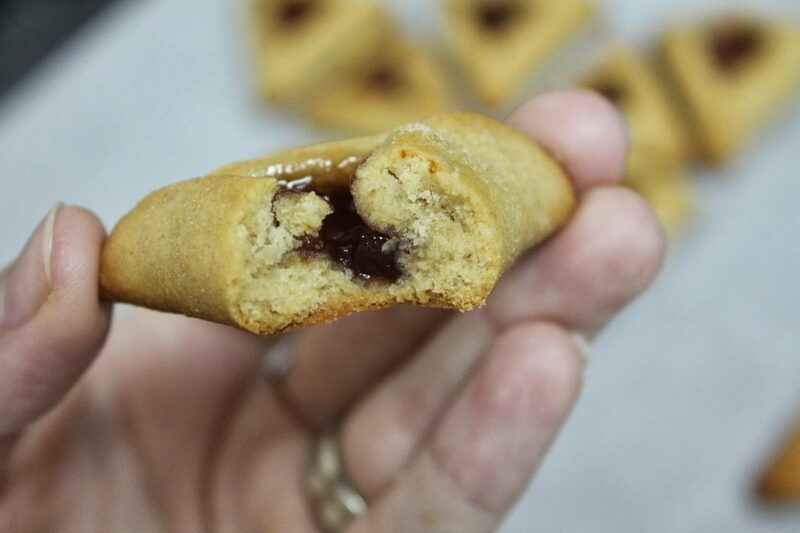 These hamantashen are crispy on the outside and get a bit softer on the inside. 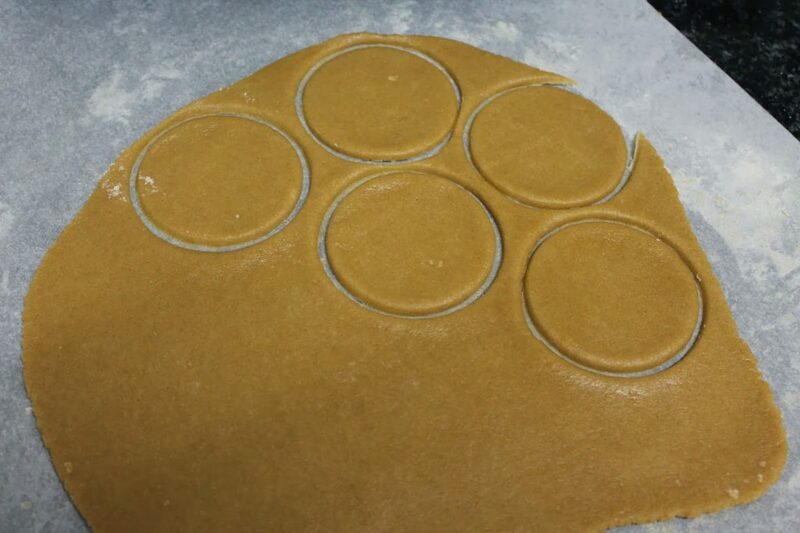 The perfect hamantashen texture, if you ask me…and my daughter too! I hope you and your family and friends enjoy these as much as we do! wow this looks so easy!! i'm totally going to try it!! Haha thanks! That’s actually Sari! I just made these and they are absolutely delicious!! I stumbled upon your blog while looking for – can you guess??? Whole wheat hamantaschen! These are just what I was wishing for. Thanks for your blog – keep it up – you're doing a great job! I can't remember, sorry. It depends on the size of them. Can you suggest how I could use applesauce to replace some of the oil and honey in the recipe? Thanks! they look amazing! i was looking for recipe that uses coconut oil instead of margarine and honey instead of sugar and these are exactly what i was looking for! Just made them! The dough is delicious (I added about 1/4-1/2 tsp lemon rind, grated). However I definitely had a problem with them opening up and melting everywhere despite some serious pinching. Either way, will definitely make these again! It could be that the dough had a bit too much flour or filling. Mine did not open. But I am so glad you enjoyed them! Made these tonight they were super easy and enjoyed by all! No need for the unhealthy version this hit the spot! Wow I am so glad you love them! !